This reconstruction of the heavy-footed moa (Pachyornis elephantopus) portrays the extraordinary bulk of this species. It had massive legs, and its large olfactory lobes suggest that it had a keen sense of smell. 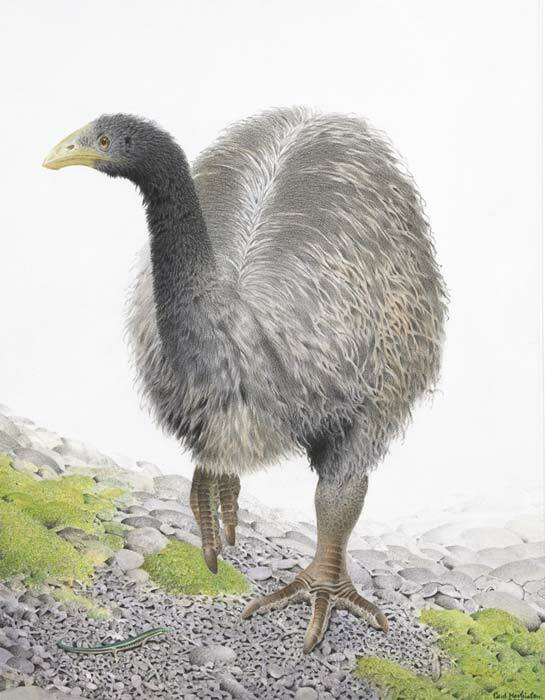 The heavy-footed moa lived in the forests and shrublands of the east coast of the South Island. Its remains have been found in middens on the Waitaki and Rakaia rivers.